The SI-40 crosses the performance envelope with the ability to provide superior accuracy and performance in remote sensing. It knows what your building is feeling. 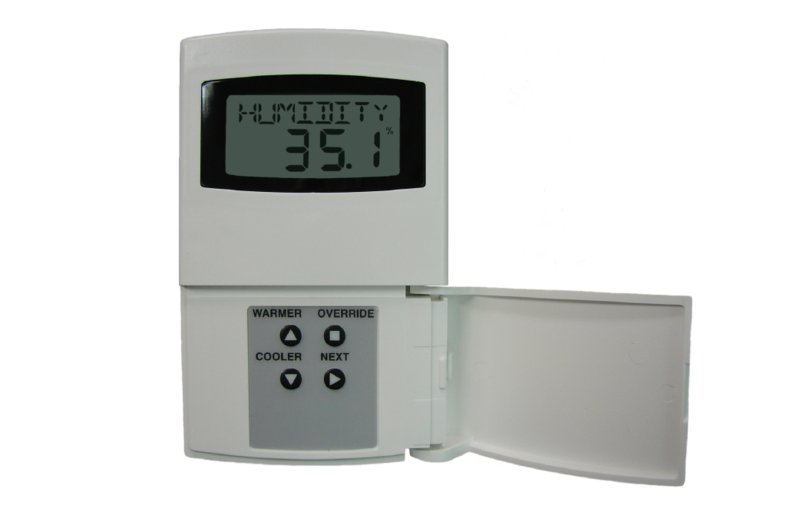 Being the nerve center to sense Temperature, Humidity, CO2 and VOCis just not enough! With intelligence to statistically monitor a building’s critical conditions in real time, the SI-40 exceeds building owners’ expectations for performance with “Simple Elegance”. Simple custom applications with optimized interfaces puts the building control at the finger tips of the user and installer. 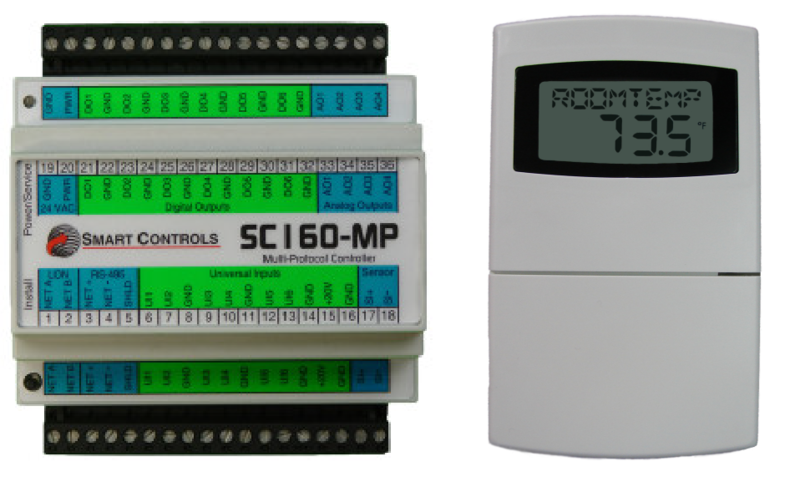 The combination of the SC160-MP and the SI-20 puts the core of the application and I/O close to the control equipment while extends the user interface and sensors to the optimal location for sensing and use. A simple two-wire connection allows power and communication to the SI-20. Roof-top, Heat-pump or any custom application can be strategically placed for optimal control and use at the lowest installation cost for the building owner. Setting a NEW Standard in the industry, only one controller is needed to satisfy today’s Building Automation protocols with OneBUS. 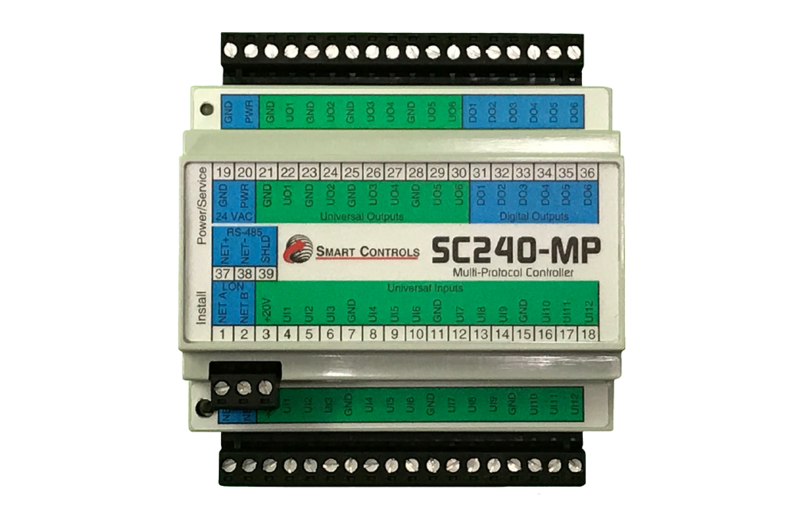 Smart Controls’ new MP series controllers can connect to Native BACnet® and LonTalk® simultaneously. Smart I/O™ SC240-MP breaks the multi-protocol communication barrier by providing NATIVE BACnet, and LonTalk communication all in one controller. BACnet can communicate over an RS-485 communication channel while BACnet/Free Topology and LonTalk/FT (Free Topology) are communicating over a TP/FT-10 communication channel simultaneously to provide monitoring, control and diagnostic information.